The Exemplar by Smart Homes for Living won Best Display Home ($190,001 – $220,000) at the recent HIA Awards. At the recent HIA Awards, Smart Homes for Living’s Display Home – The Exemplar won Best Display Home (between $190,001 – $220,000 category). 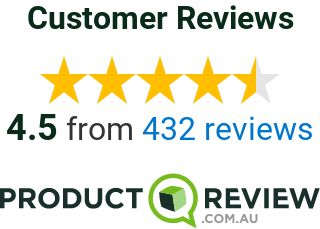 This award comes from Australia’s peak residential building, renovation and development association, where every year, they recognise and award high quality new home builds from around Australia. Recently there was the HIA Professional Builder/Renovator Awards that recognise professionalism in the housing industry. Smart Homes for Living received recognition for their display home, The Exemplar, that won Best Display Home ($190,001 – $220,000) category. A striking elevation – unique and bold. Beautifully neutral colour scheme in the kitchen. Expansive living areas with the dining table and kitchen receiving plenty of natural light. The family room has alfresco views and access – bringing the outside, in. Home theatre is cosy, with the activity room sitting adjacent. The master suite is luxuriously designed, along with plenty of robe space. The ensuite shows off a twin shower and basin. The bathroom showis off tones of browns, making it very warm and welcoming. A generous sized laundry with a linen cupboard and outdoor access. The bedroom shows off a large window. The other bedroom also shows off a large window. The guest bedroom is as you would expect, roomy and with a large window. The alfresco shows off a decorative screen providing privacy from neighbours. Outside is a BBQ area, perfect for outdoor entertaining.